Johonna tried CrossFit for the first time after her colligate soccer career ended due to a broken back injury. Her goal was to stay in shape and away from further injury and Crossfit training did just that and more! Initially she was intimidated by the movements and the workouts, but thanks to her CrossFit coach who stuck with her and taught her proper form and technique she came back from injury even stronger than before! However, Johonna didn’t get really hooked until her husband decided to join with her. 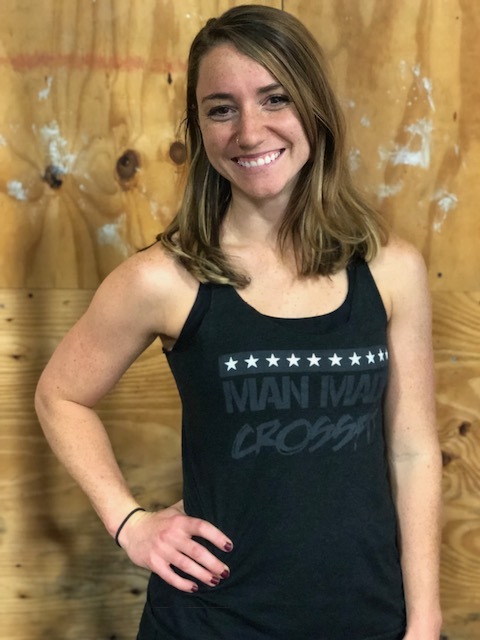 Johonna (who goes by Jo) loves the functionality of CrossFit and how it can be beneficial for any person, at any stage of life, or any fitness level. She even continued to train CrossFit all nine months of her pregnancy up to the day before her daughter was born! Growing up Jo was always moving, she competed in volleyball, she was state ranked in track and played soccer select, she also played in high school and at Sam Houston State University. Jo has been training CrossFit for over 4 years now and is so excited to teach and share her passion for CrossFit with others. When Jo is not in the gym she works as an ER nurse.